As South Florida residents, generator services play an important role in our lives. At Kasper Electric, we provide affordable and reliable backup power solutions for your home and business. Over the years Palm Beach County has endured significant storms and we’ve been there every step of the way. Power outages are a common occurrence during peak storm seasons. We recommend that every responsible homeowner secure a reliable generator prior to hurricane season. 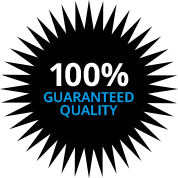 We supply, install and service top-quality generators. With Kasper Electric, you’ll find affordable maintenance agreements and warranty service options for your convenience. Our licensed and insured electricians are available to install and maintain your home generator. Our goal is to improve your quality of life during storm seasons, to ensure you have a temporary power outage solution and that you’re properly prepared for hurricane season. Losing power in your home for any length of time is inconvenient and unnecessary. Let our generators bridge the gap until your home’s power is back on the grid again. Call our expert electrical team to discuss the best interim power solutions for your home this hurricane season. When you think about electrical generators that can provide a temporary solution during a power outage, you may conjure a mental image of the portable generators that are sold at home improvement stores. This type of generator can certainly come in handy during an outage, but serious homeowners can take things to another level. There are standby generators that can be permanently installed on your property, and there are units that can power your entire home for days at a time. The standby generator is connected to your existing electrical panel and powered by a fuel source like diesel fuel, propane, or natural gas. If you’re a homeowner in a vulnerable storm area like Jupiter, Boynton Beach, Delray Beach, Lake Worth, or Palm Beach Gardens, this type of solution can provide you with peace of mind. We can help you understand your options and install the standby generator that is best for you and your family. We can also provide ongoing maintenance for your current home generator. Our highly-trained and knowledgeable technicians have been powering South Florida’s storm season confidence since 1978. Put our expertise to work for your family.